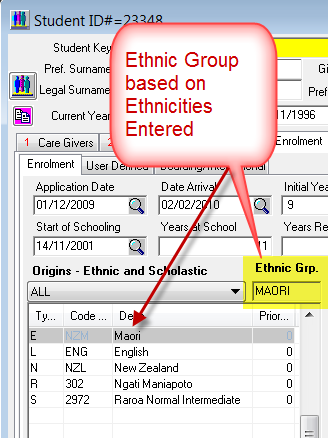 PCSchool enables the recording of a student’s multiple ethnicities however we have now automated the storing of the overall ethnicity grouping. In order to initially set up this summary field users will need to use the Year End/House-Keeping routine. Once the bulk run has been completed there will be no need to repeat this process as updates will be accommodated as student ethnicity is altered in the Student View. Once allocated this ethnicity grouping is available within the Student Table. 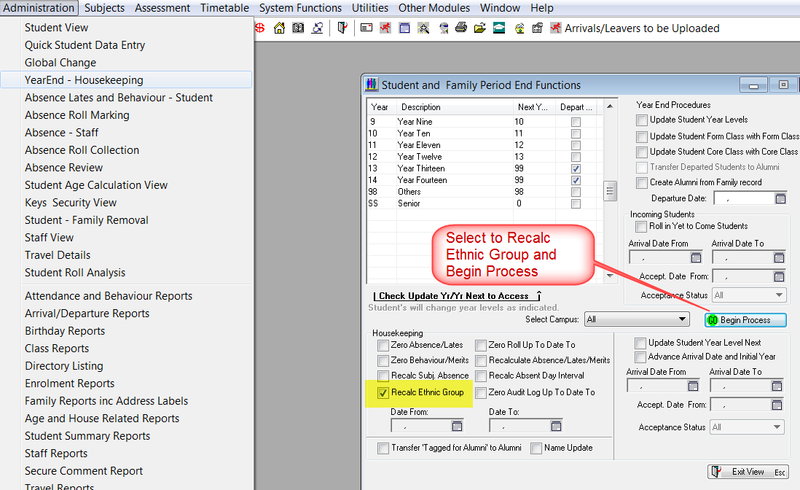 Previously ethnicities could only be reported by querying the actual Student Origin table however this reported on all ethnicites of a student resulting in multiple records being printed where a student had more than a single ethnicity. 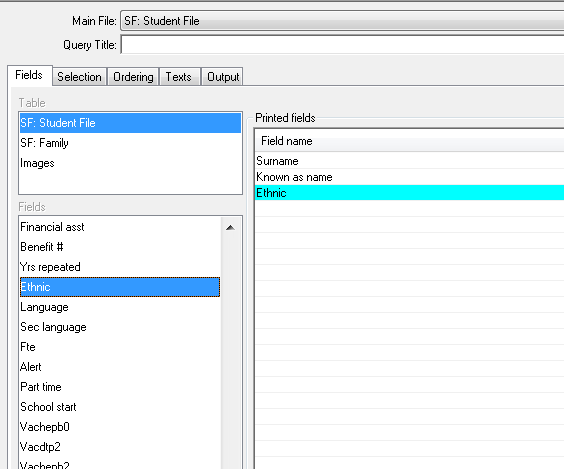 The grouping is stored in the Student.ETHNIC field within the Student Table. This entry was posted in Curriculum and tagged Classroom Management, School Management System, school software, student management Software, Student Management System by studentmanagementsoftware. Bookmark the permalink.